* INTERNAL PICTURES TO FOLLOW ONCE LANDLORD HAS FINISHED SOME REMEDIAL WORKS * BUTTERS JOHN BEE have the pleasure to bring this magnificent Four bedroom, two bathroom mews cottage/house to the rental market, at the exclusive Warmingham Grange . Property website TheHouseShop have used their expert knowledge of the Sandbach in Cheshire property market to help buyers, sellers, tenants and landlords save money when advertising and searching for property available online. Property website TheHouseShop is unique in the UK property market as it is the only place that accepts listings from homeowners and professionals, so visitors will find properties available for sale and to rent from traditional estate agents, online-only agents, private landlords, private sellers and property developers. Tens of thousands of home hunters use TheHouseShop's marketplace each and every day to search for property in Sandbach in Cheshire and we can help sellers, private landlords and estate agents advertise their properties to this huge audience. Homeowners can choose from a number of marketing add-ons to boost their property advert and sell or let their property faster. Thousands of private landlords in Sandbach in Cheshire have already used TheHouseShop.com to find excellent tenants for free. 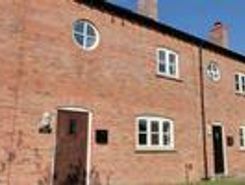 If you are looking for a rental property in Sandbach in Cheshire, TheHouseShop has a huge selection of homes available to rent from private landlords and letting agents including flats, apartments, detached houses, bungalows, maisonettes, terraced houses and more. With a huge variety of affordable property to rent in some of Sandbach in Cheshire's most sought-after locations, TheHouseShop acts as a marketplace for renters where they can find rental homes that meet their budget and requirements. Visitors to TheHouseShop will find a variety of Sandbach in Cheshire rental properties available to rent direct from the landlord including DSS rental properties, studio apartments, flats, 3 and 4 bedroom homes, semi-detached houses, terraced houses to rent and more. TheHouseShop carries unique property to rent direct from private landlords, so tenants can find rental homes that they won't find on other big property websites. The Sandbach in Cheshire rental market is booming and savvy home hunters who rent property direct from the landlord can save money on admin fees and charges. 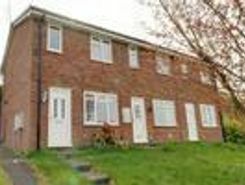 People searching for affordable rooms to rent in Sandbach in Cheshire can find cheap rental options in TheHouseShop's Flat Share section. 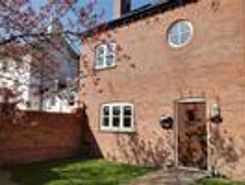 Renting a property in Sandbach in Cheshire can be expensive, but tenants can find affordable Flat Shares in Sandbach in Cheshire's best locations for a fraction of the price of a whole property. TheHouseShop's Rental Guarantor service makes it easier for Sandbach in Cheshire renters to secure their dream property with the help of a guarantor based in the United Kingdom to reassure their landlord. Landlords can use our free online rental calculator to determine the perfect price for their Sandbach in Cheshire rental property. Private landlords using TheHouseShop are given access to a number of landlord services including tenant referencing checks, rent collection, online tenancy agreements, landlord insurance and more - on top of advertising all their rental properties free of charge. Private landlords can use TheHouseShop's tenant referencing service to run background checks on renters, credit check tenants and view a reference report showing if the tenant will be a reliable and suitable candidate for the property. People looking for rental homes in Sandbach in Cheshire can create a property alert on TheHouseShop.com and receive email updates anytime a new property to rent appears on the site. 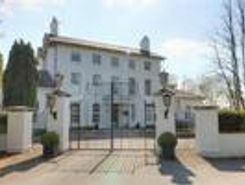 Property investors and private landlords can search thousands of cheap Buy To Let investment properties from house builders, estate agents and private sellers throughout Sandbach in Cheshire on TheHouseshop.com.